"Store your passwords in an encrypted database"
App description: This is a password manager that remembers them for you so that you don't forget; it also helps you to create more secure passwords. Functions: The application stores your passwords encrypted in the cloud, allowing you to sync with different browsers and devices, whether you are using your phone, tablet or computer. Activities: You can use the fingerprint scanner to unlock the application (if your phone has this feature) and can analyze your passwords to know how safe they are; it will help you to make safe passwords if needed. Languages: Multi-language interface available in English, Spanish, Russian, Italian, French, and more more. Recommendations: Ideal for those looking to save time entering passwords everytime they log on anywhere. Installation requirements: A minimum of 2,4M of free memory space and Android OS which Varies with device. Ideal for not having to remember various passwords. The PC version is free. 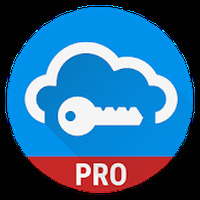 Do you like Password Manager SafeInCloud™?